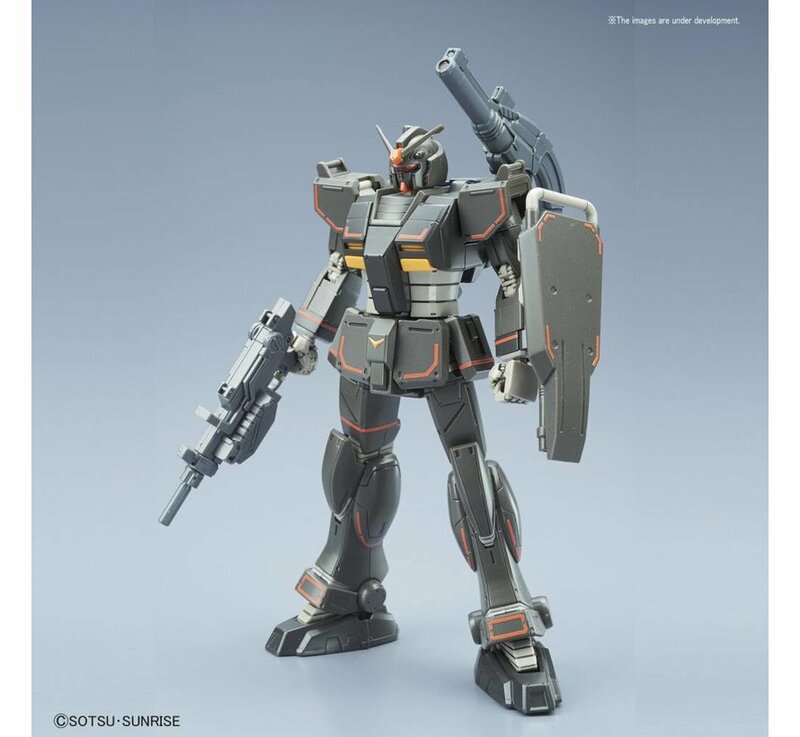 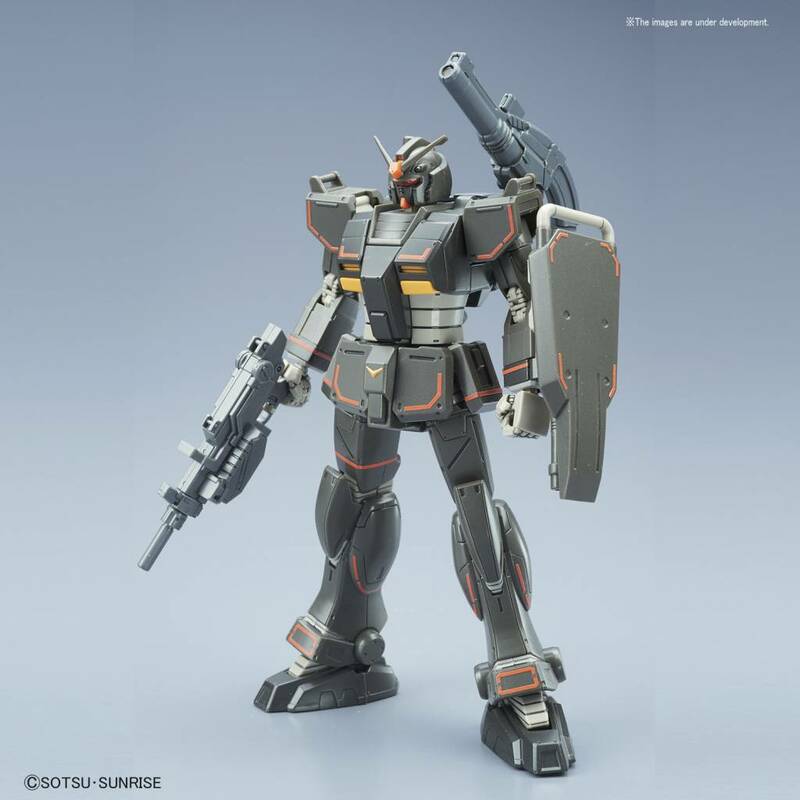 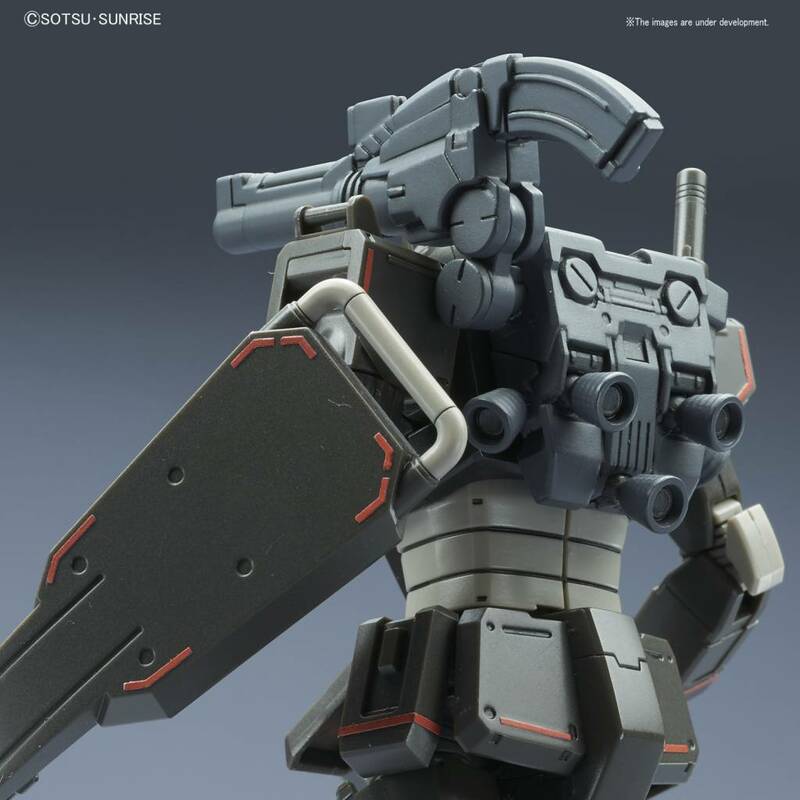 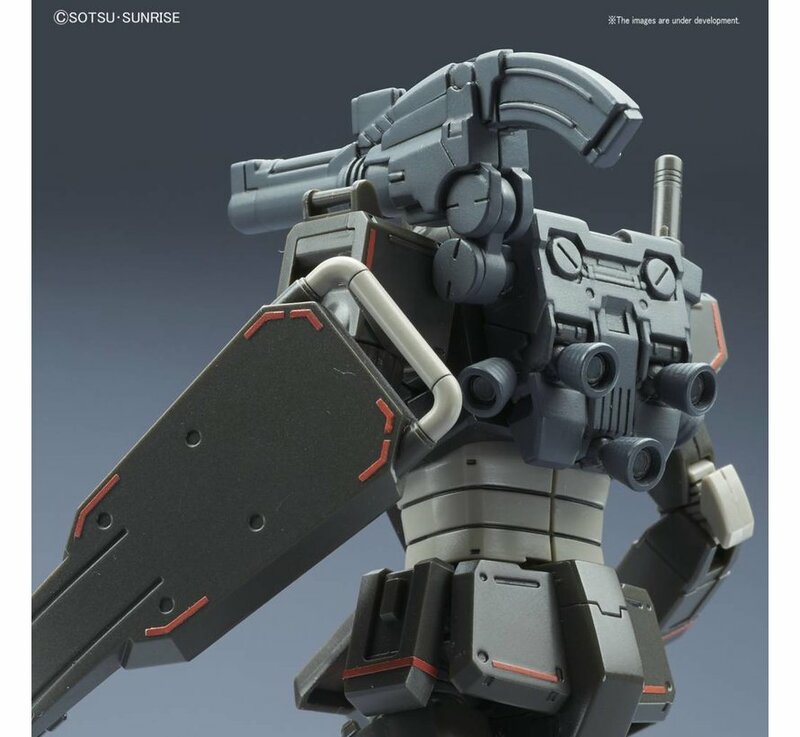 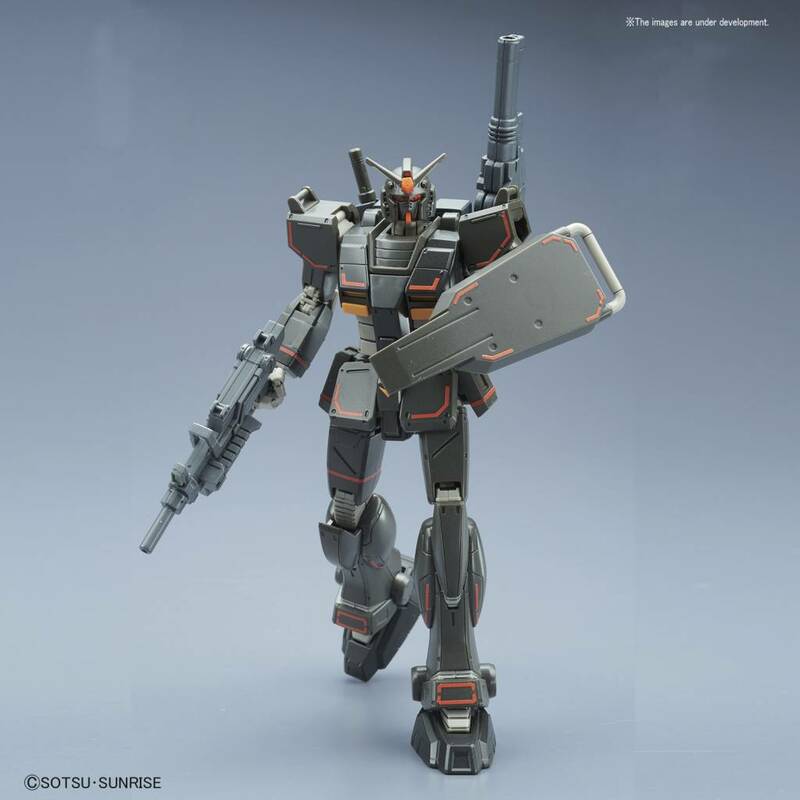 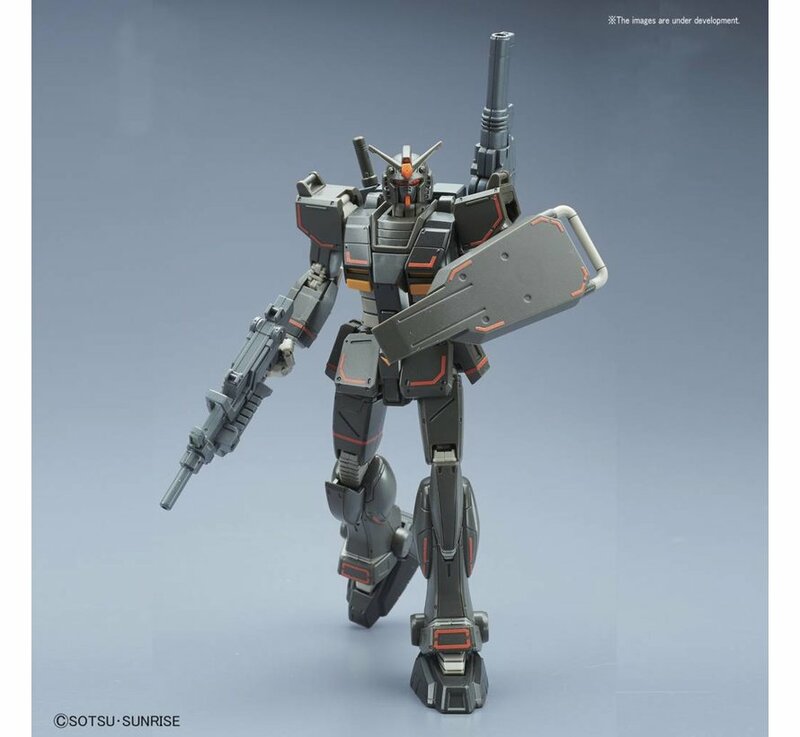 The Gundam Local Type (N. American Front) is a variant unit from Gundam The Origin featured in the manga Curcuruz Doan’s Island currently being serialized in Gundam Ace. Its unique dark color scheme has been faithfully recreated, and includes stickers to make the thin red lines. 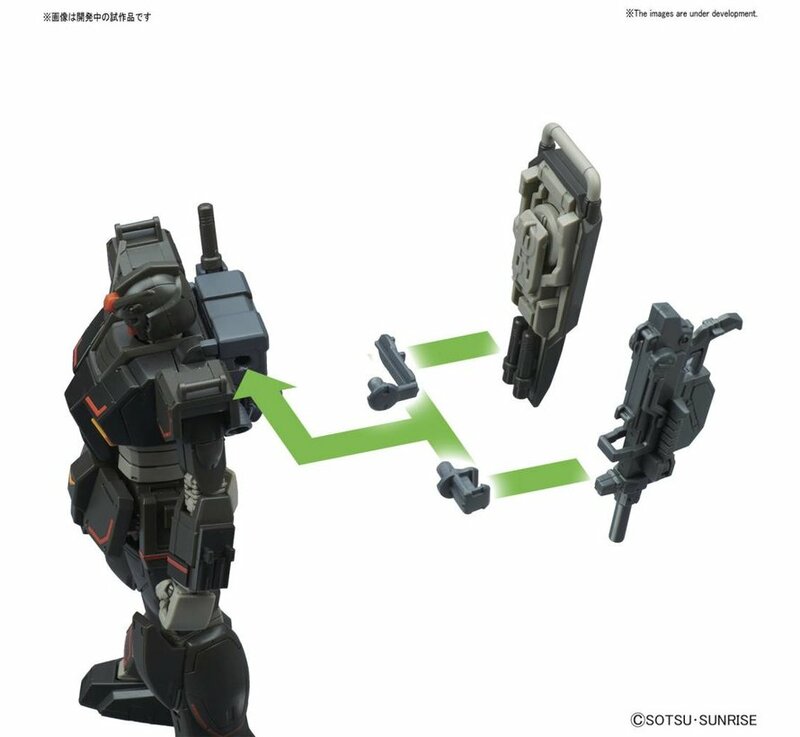 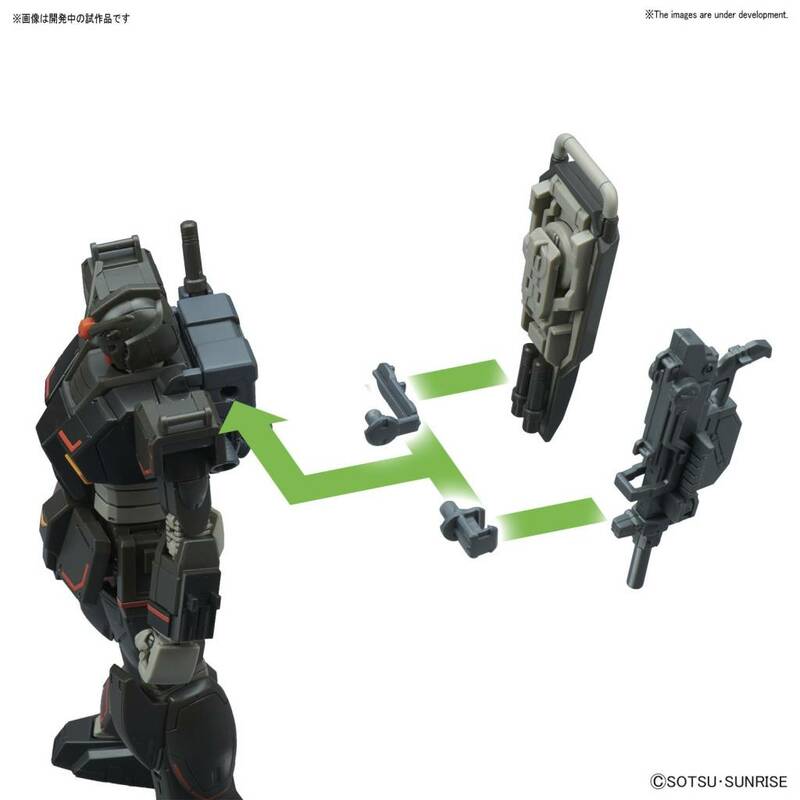 Includes machine gun, shoulder cannon, and shield.